During the 2010 Games in Vancouver, we covered what the different sporting events were and a little about how they were scored. Well, there are more than forty new medals being awarded this time, so let's look at what has changed. First, let's look at the one event that has changed its scoring: Ice Dancing. There's no more Original Dance or Compulsory Dance, and instead now there is a Short Dance that is part required pattern (like Compulsorywas ) and part Original Dance, with required moves. A team's score from that is added to their Free Dance like before. Now, for the twelve new events debuting! 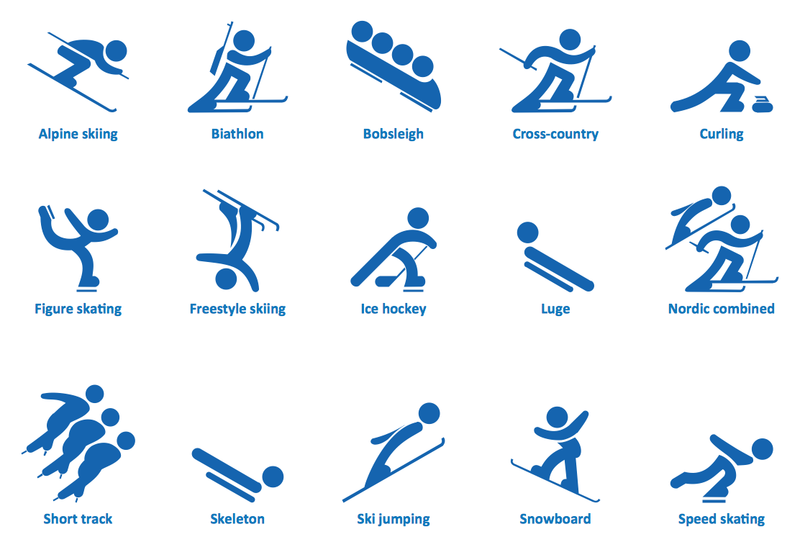 Biathlon: They're adding a Mixed Relay, where two females race 6km each, then two males race 7.5km each. Each person shoots once prone and once standing, and there's a penalty loop for each miss. The team with the lowest combined time wins. Figure Skating: There is now a Team event, with six skaters from each country. One man does a singles event, one woman does a singles event, two skaters do a pairs event, and two skaters do an ice dance event. The team with the highest total score wins. Luge: There is now a Team Relay, where a doubles sled starts, as soon as it finishes, a women's sled goes, and when that finishes, a men's sled goes. The fastest combined time wins. Ski Halfpipe: For both men and women, it's a lot like snowboard halfpipe, where competitors get two runs in prelims, and the top 12 qualify for two runs in the finals. You're scored on your air, tricks, and landings, and you keep your best score out of each two-run set. Ski Jumping: Women are competing for the first time, and use the same "small" hill as the men, with 260-330 foot markings. Each competitor gets two runs in the first round and the final round, and your score is based on distance and style. All four scores are totaled to determine the winners. Ski & Snowboard Slopestyle: For both men and women, skiers or snowboarders go down a course that has rails, bumps, ramps, etc., and try to pull off different tricks. There are five judges giving scores, and the highest and lowest are dropped. There's a qualification round and a final round (of the top 12), and you only get one run in each. Snowboard Parallel Slalom: For both men and women, two snowboarders race head-to-head down identical courses, and the first to finish wins. I'm personally looking forward to checking out the slopestyle events and the parallel slalom... what strikes your fancy?